The connection the Algarve community has with the sea is undeniable. From the Portuguese Discoveries, from the search for fish for family survival to the enjoyment of water sports, we always consider the sea an essential part of our lives. So, it is not surprising that the Algarve has witnessed the birth of two people who make the sea their home and who have been distinguished by it: Teresa Duarte and Jody Lot, World Spearfishing Champions. Some say that once in contact with the sea, the connection is never lost again. It turns out to be an inherent need for both body and soul: “the sea is my therapy, my psychologist,” confesses Jody. And what may be done for fun, turns out to be a way of life and subsistence: “I started to practice bodyboarding when I was 14 years old … I am now a barnacle catcher” says Teresa. Teresa, 35, never had an ambition to compete in the spearfishing competitions, but there was an opportunity to enter the world championship in Sagres in September due to the lack of “girls to compete in the sport.” On the other hand Jody, 37, always dreamed of being a National Champion and had many childhood idols: João Rosário from Portimão, Toninho, Rui Torres and André Domingues. I started to compete with my idols and gradually won! “. 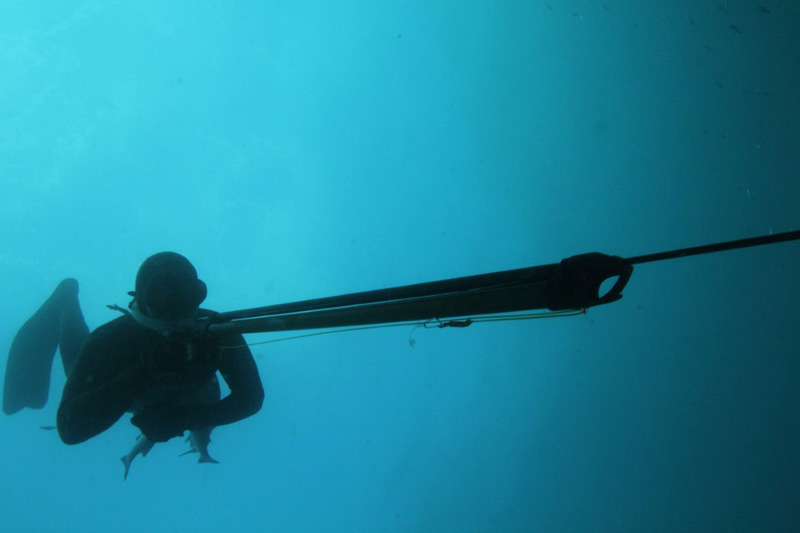 Incredibly, the National Spearfishing Championship was only won after the European Championship title (2011, Peniche) and World Championship victory, for the first time, in Vigo (2012). These children of our land, but conquerors of the seas, respect the oceans and, like Mar d’Estórias, consider spearfishing one of the most ecological and sustainable sports. In this type of fishing, the sea itself does not allow more than “80 dives a year, much of it due to the visibility of the water, the waves, the tide and the rain”; “It’s a selective fishery and one that pollutes the ocean less,” Jody says. In addition to this, it is honorable for the spearfishers and the local clubs to organize garbage collection plans once a year, to reduce the garbage in the sea.